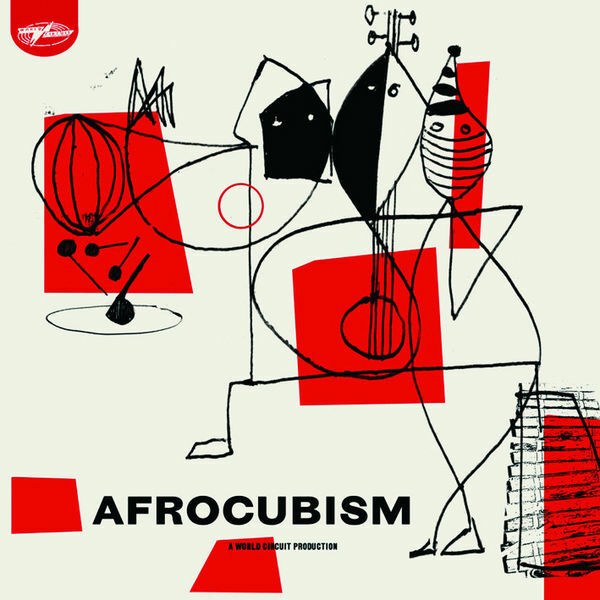 Without doubt a Cuban-Malian Supergroup, AfroCubism brings together the cream of Mali with the coffee of Cuba. 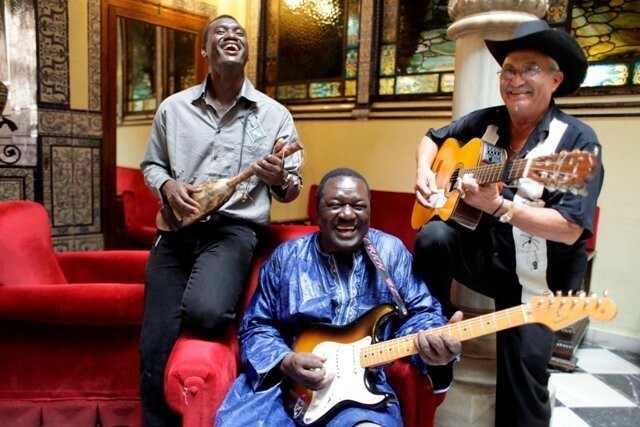 This band was first conceived fourteen years ago, when Nick Gold, head of leading British world music label World Circuit, set out to team up the Malians Bassekou Kouyate (ngoni) and Djelimady Kouyate (guitar) with the Cuban guitarist/singer Eliades Ochoa and his Grupo Patria, and Barbarito Torres (laoud). 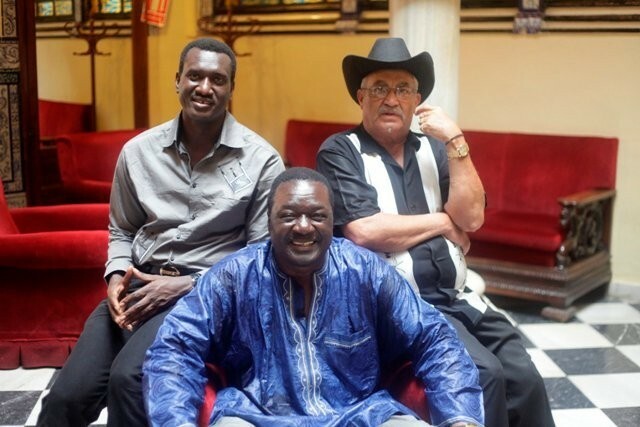 The Malians' passports got held up in the post and instead Gold ended up using the studio time to record an extended Cuban conglomeration (with the addition of Ry Cooder and son). That recording became the Buena Vista Social Club - probably the most significant world music project of the last 50 years and the one most responsible for bringing 'world music' into the consciousness of the mainstream. 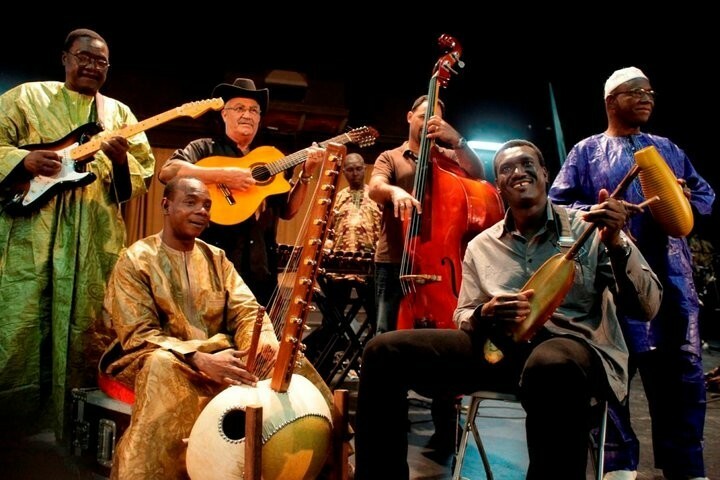 However the original Cuban-Malian project was never forgotten and the result is that in 2010, World Circuit assembled the original invitees (sadly minus Barbarito Torres) alongside even more great Africans: Griot singer Kasse Mady Diabaté (National Badema, Taj Mahal, etc), balafon virtuoso Fode Lassana Diabaté, percussionist Baba Sissoko and not least the legendary kora player Toumani Diabaté. Their debut concert was as part of the Mar de Músicas Festival in Cartagena, Murcia, Spain on 9 July 2010. Their debut album, called simply "AfroCubism" is set to be released on 11 October 2010 and an initial tour is scheduled to start soon after. 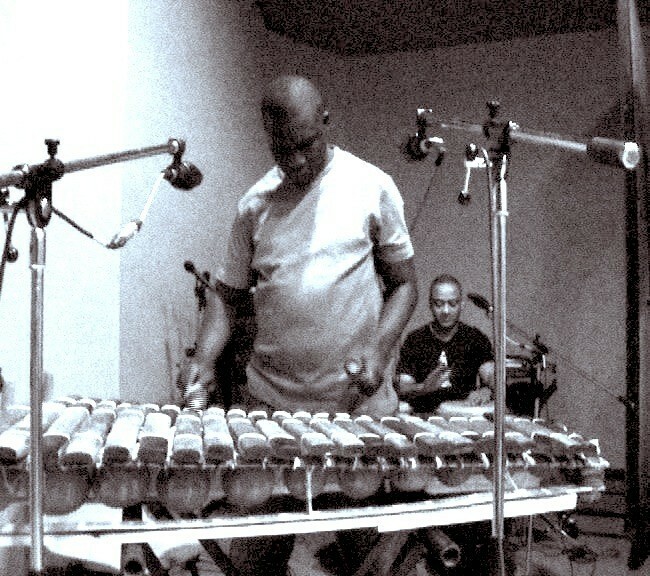 In the words of Eliades Ochoa: "For those accustomed to hearing the Cuban sound, when they hear the fusion with African music, they will become aware of the beauty that is inherent in both". 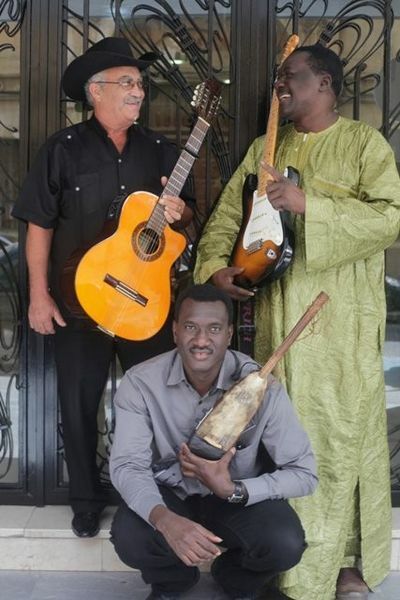 and Bassekou Kouyate: "Not just anyone could achieve what we have. I really believe in what we are doing here." 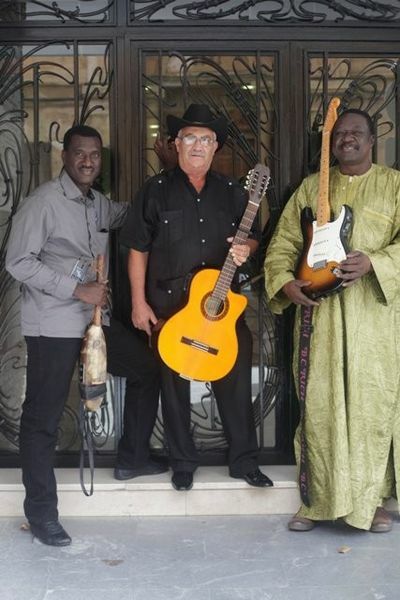 Toumani Diabaté: "Us Malians have played Cuban music, the Cubans have played Malian music also; and this has led to the creation of a new music."